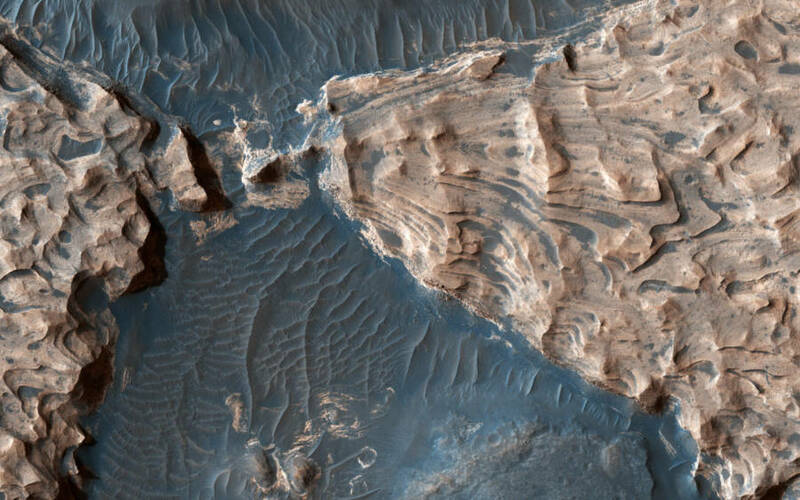 These amazing photos of Mars show just how varied — and not so alien — some of the terrain is on the fourth planet. Ever since NASA's Mariner-4 spacecraft collected the first Mars pictures by way of flyby in 1965, the public has been enraptured by the red planet. 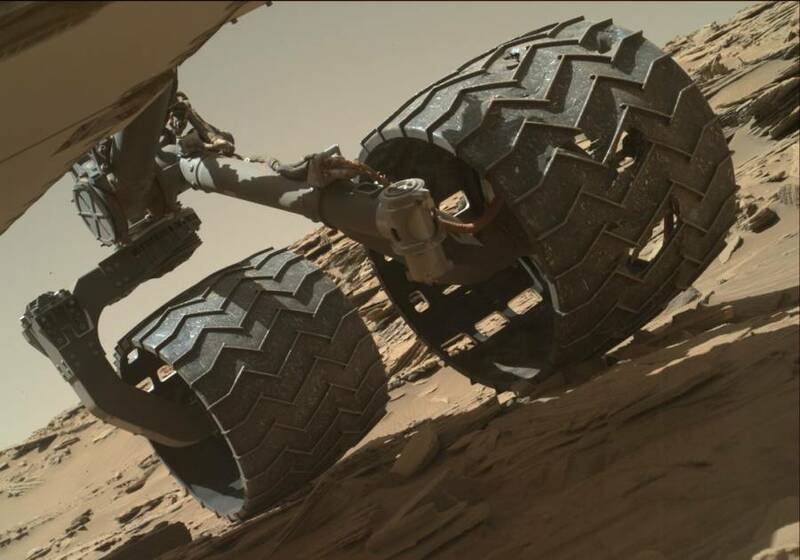 Now, it's easier than ever before to witness the celestial beauty that resides on the red planet with the help of modern orbiters and rovers. 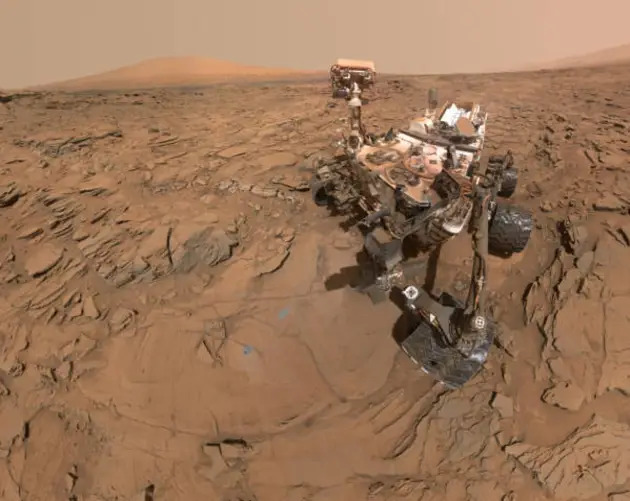 Through pictures of Mars, we have been able to discover that the fourth planet from the sun is not so unlike the roughest conditions on our own home planet. 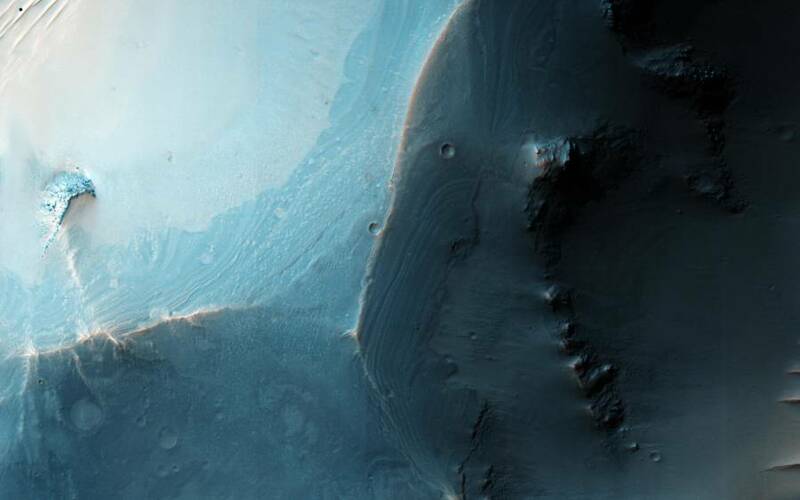 Mars features the remnants of what once were volcanoes, meteors and craters, flash floods, and frost. Though the red planet now is a fairly hostile environment for humans — with freezing temperatures and air of mostly carbon dioxide — NASA forges ahead with plans to send people there — possibly by the 2030s. But for what purpose, exactly? 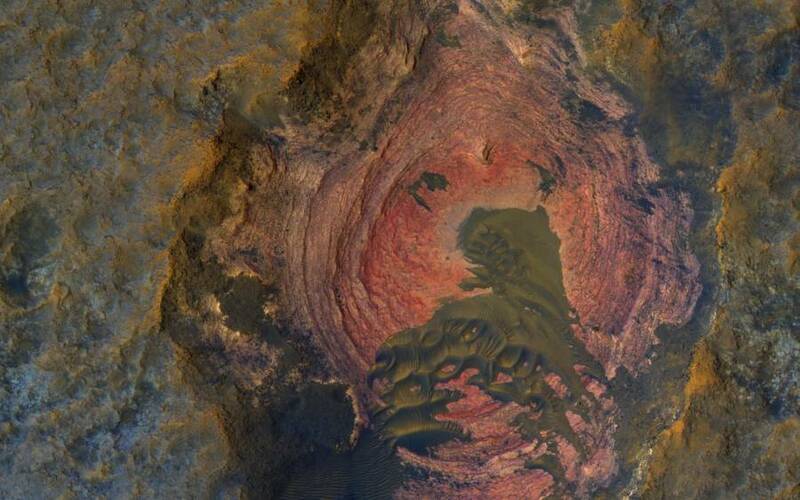 The colorization in these Mars pictures is altogether pretty accurate. When the rover sends Mars pictures back to earth, each pixel in the image is coded in zeros and ones, this binary code is then translated into color and brightness once it's picked up by earth's deep space antennas. 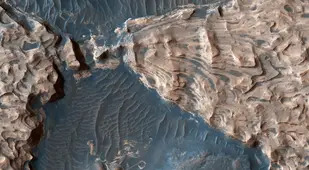 "We're basically doing a more sophisticated version of 'Paint by Numbers' when we reconstruct the images," reported Eric De Jong, one of the team members responsible for processing photos of Mars. The Mars pictures in the gallery above are shot by the Mars Reconnaissance Orbiter, which was launched from Cape Canaveral in 2005, and also from Mars' Curiosity Rover, which is the largest and most capable rover ever sent to Mars and was launched in 2011. Both devices arrived at the red planet about a year after their launch. 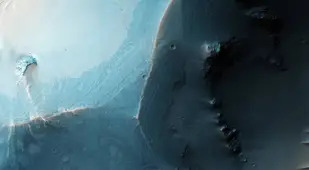 The Mars Reconnaissance Orbiter surveys the planet with close-up Mars pictures and features the largest camera ever included on a planetary mission. This camera is unique as it can discern something as small as an office desk on the planet below. One key element in its mission is also to identify ice, water, and any other clues for the potential of life. 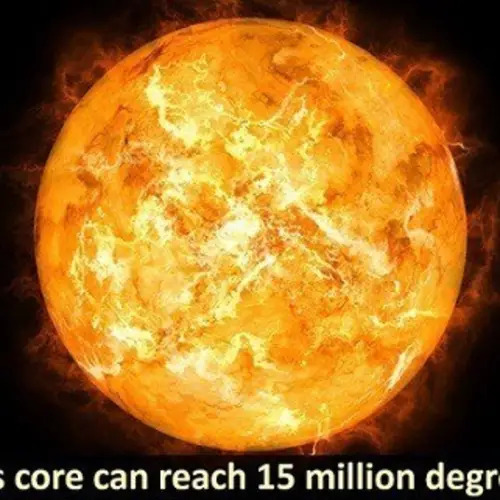 In fact, Mars' formation and evolution are comparable to Earth's. About 3.8-3.5 billion years ago, Mars and Earth shared a lot of similarities. 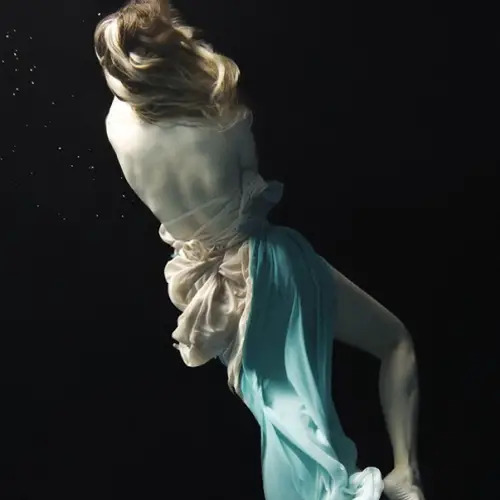 For one, Mars was likely much warmer and wetter which means that perhaps life had the potential to arise in this time. 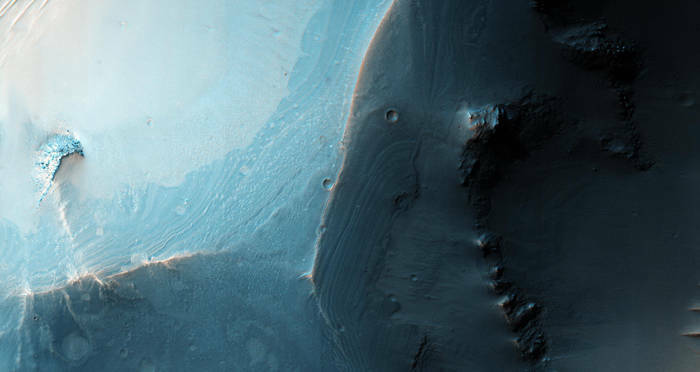 There is a lot to glean about our own planet's past — and future — by studying Mars in greater detail, and often through pictures of Mars like these. The search for life is also on the front burner. When scientists discovered water on Mars in the form of ice, they had to wonder if life ever existed on Mars, or if it still could, or if it had the potential to someday arise. 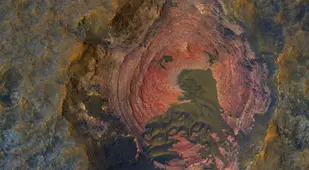 Mars pictures from the planet's orbiter show what's called the Korolev crater, and it's a 50.6-mile in diameter crater full of crystal clear ice — could be promising, no? Researchers are also considering what it takes for humans to survive on Mars if we ever hope to colonize it. There are some who are not only excited but serious about achieving this. Elon Musk is one of those people. "You know there’s lots of people who climb mountains. You know why do they climb mountains? 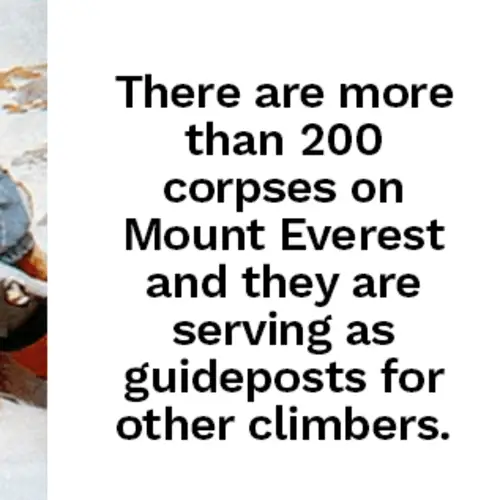 People die on Mount Everest all the time," he said. "They like doing it for the challenge." There are definitely countless challenges that must be met before humans can travel to Mars and back, much less successfully live there. We must find ways to protect astronauts from cosmic and solar radiation, which is more potent in deep space than in a space station. Researchers are hard at work designing radiation-shielding spacesuits that must be perfected before any would-be Mars traveler departs. "We’ll get to Martian orbit first, safe to say," suggests Dava Newman, NASA’s innovative deputy administrator. "Or perhaps to a Martian moon ... and then the absolute goal is boots on Mars." Technology is playing a huge role — not only in sending Mars pictures back to Earth — but helping us to understand the planet's landscape as a cohesive whole. 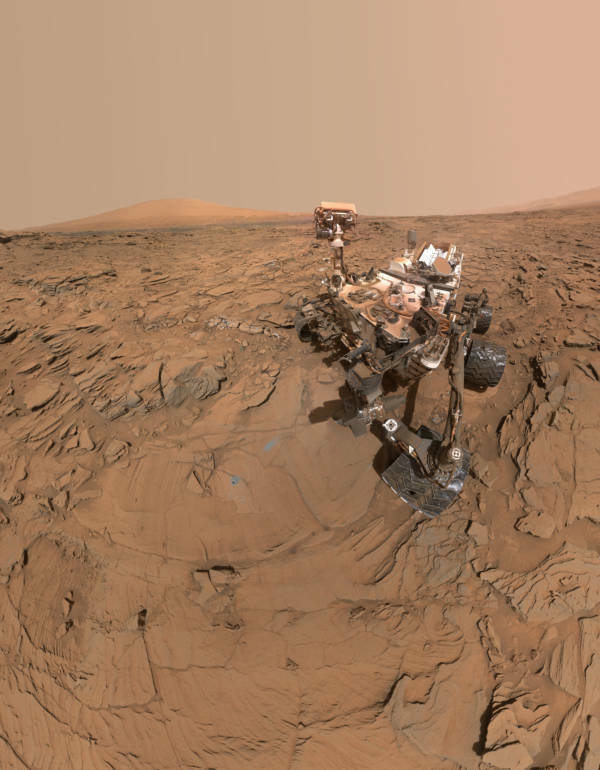 Google has even mapped the entire planet to enable us grounded here on our home planet an interactive Mars experience — without all the radiation. After this look at some astonishing Mars pictures, find out what the first human homes on Mars might look like, and then read about why NASA sent sperm into space.